The rest of the world is gearing up for fall. My favorite Instagrammer just died her hair red in celebration. Ads are already starting to talk about pumpkin spice “everything.” School is starting up again, and all anyone can talk about is how summer is almost over. 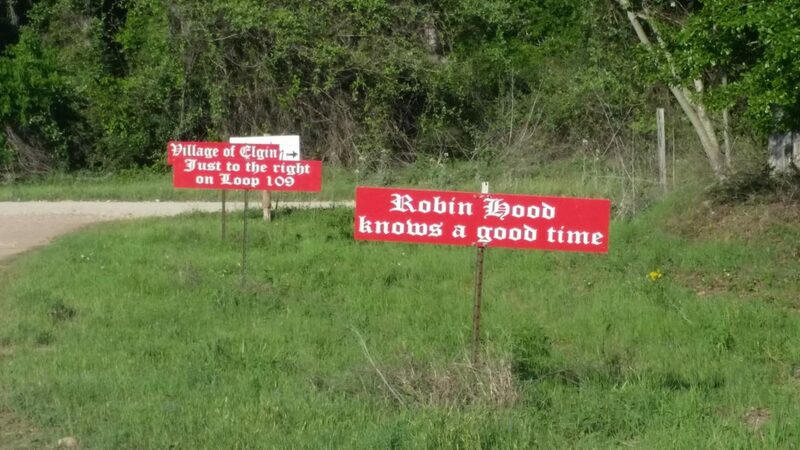 And, my friends up north are going to Renaissance Faires. Because that’s what you do when you live in the Pacific Northwest and it’s late summer. Unfortunately, here in Austin things are a lot hotter. Literally. 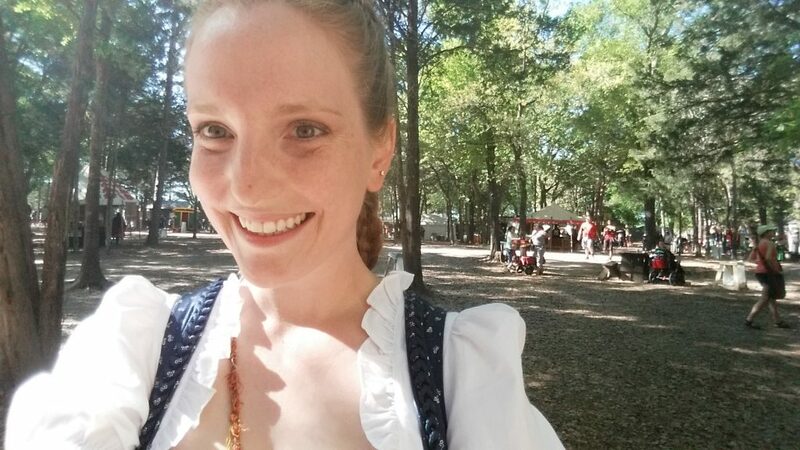 I couldn’t imagine going to a renaissance festival right now, even if I were to put on one of those strange, culturally-confusing belly dancing getups that some girls wear. Even in a bikini, it’s just too hot. Ain’t nobody gonna be jousting in this heat. 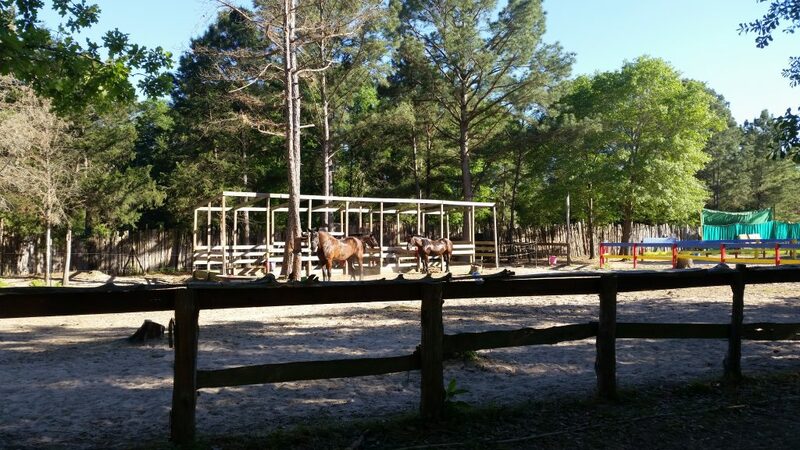 Because I’m starting to wish things were just a little bit cooler (like, cool enough for Leben and I to take a brief walk anytime after 6am), I thought I’d take a moment to share one of my favorite excursions from this past spring. When things were cooler. And I could actually go outside and do stuff. 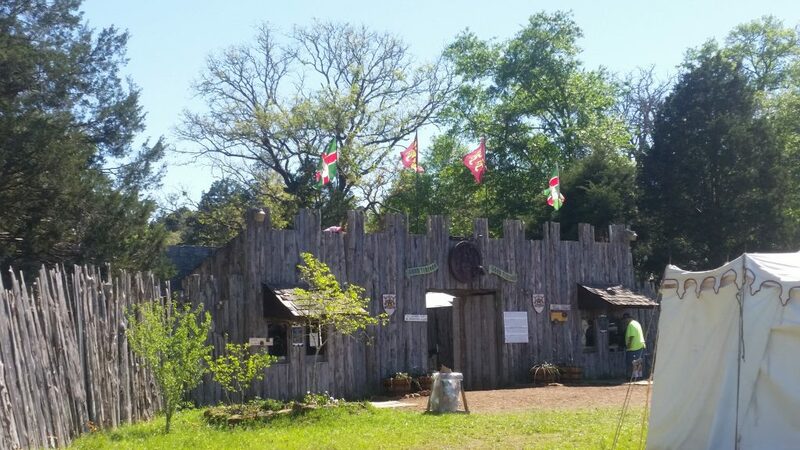 I was so unbelievably excited to discover that there was a ren faire so close to where I live. Finally, I might have a chance to do some incredible braids and meet strangers who appreciate them like I do! 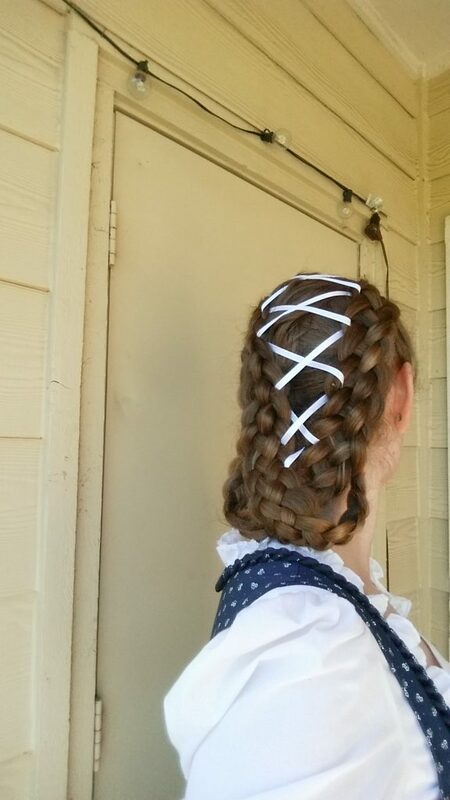 I also planned on applying for a job as a stand-in braider. Because, why not? 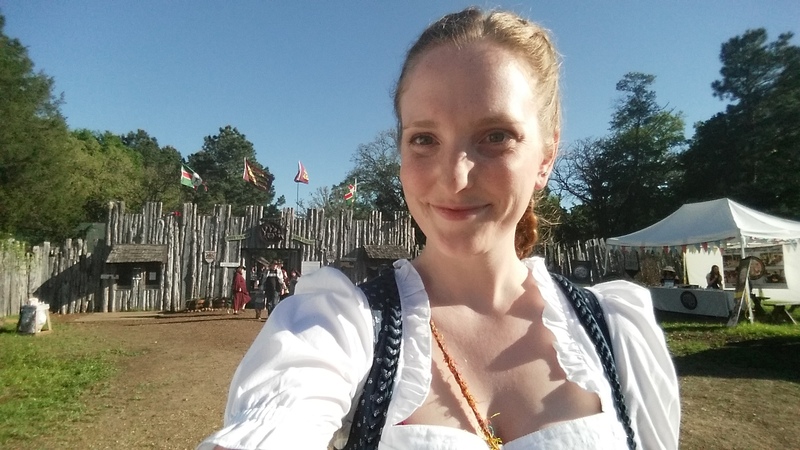 I spent a good hour putting my hair into five-strand corsetted pigtails, donned my dirndl (because I thought it looked almost appropriate) and drove out to Sherwood Forest Faire… my first ren fest ever. Let me just say that this was one of my favorite places ever. I was like a kid in a candy store. The cheeky fairy tale jokes, costumes, and puns were everywhere. I lived for everyone calling me “my lady,” and I finally got to pretend to be a real life princess. 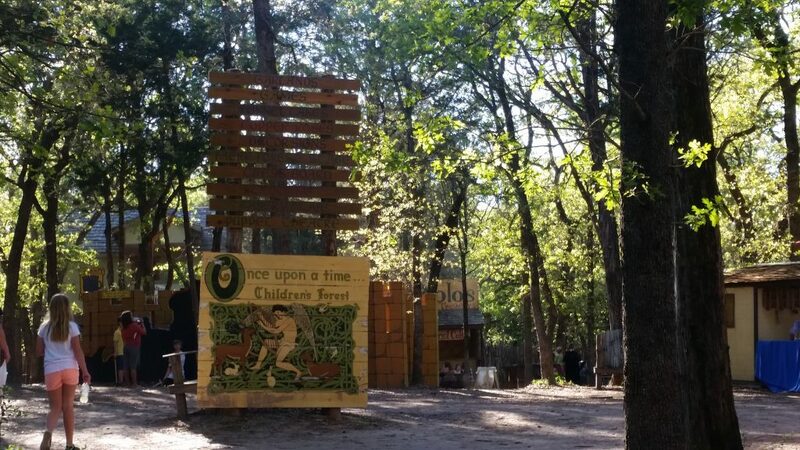 There were little details everywhere you looked that turned this simple forest into a fairy tale, and I was all about it. 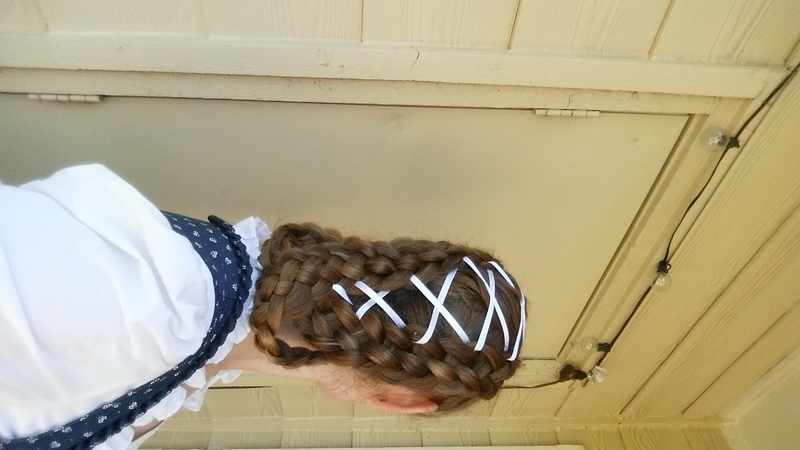 I also spent a good two hours perusing the stand of every single artisan within a five mile radius… which left me with tons of inspiration, plenty of excitedly-received compliments on my braids, and with a much lighter wallet. I went home with two new handmade rings and a whole lot of design inspo for fantasy-inspired dresses. Truly, if there was a Disney World for fairy tale, knights-in-armor, fairy princess people, I would live there. It was so amazing to run into a Jon Snow lookalike (in full night’s watch garb) and to gape at the many people I passed who were wearing tails. 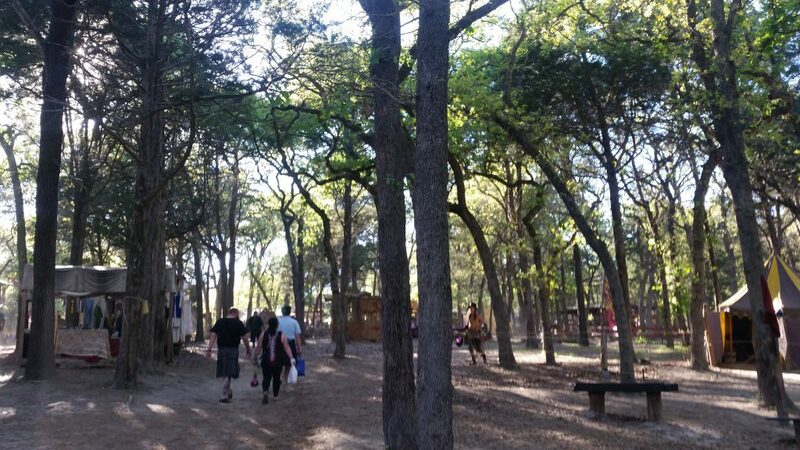 I loved every detail, I loved the beautiful scenery of the wood, and I loved the people. Next time I return, I plan on spending much more of my time seeing shows and watching the archery and jousting events! 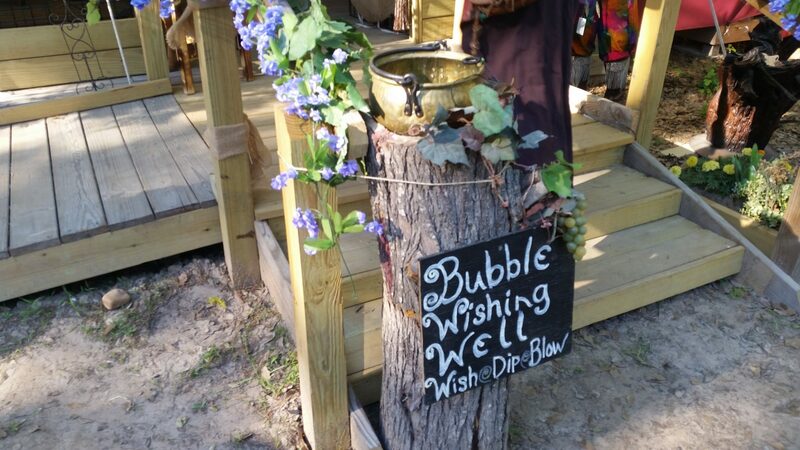 I want to sample the food and really get to know some of the “regulars.” I can hardly wait for spring to come again so that I can experience the magic once more. As summer draws to a close, I’m dreaming of flying up north to witness a real life druid circle and seeing the viking enthusiasts who make their own clothes and braid like warriors. Honestly, I may have found a new passion. Who cares that I’m not really a fairy princess when I can dress up like one out in public with other people doing the exact same thing? It’s a genius idea. 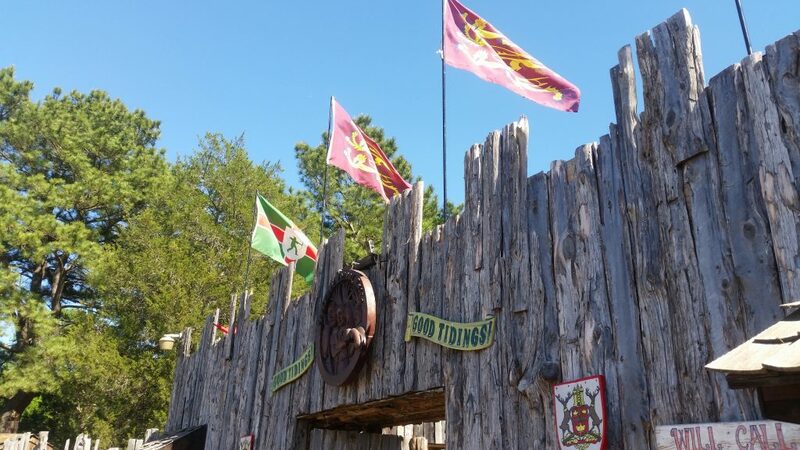 For those of you who aren’t into ren faires (or who are), what would your perfect hangout be on a beautifully cool saturday? I look forward to daydreaming with you in the comments below.